Sheffield architect firm Hadfield Cawkwell Davidson has completed its refurbishment of St Vincent’s Church, 164 years after the practice designed the original building. The church is now part of the new Unite Student development St Vincent’s Place on Hollis Croft. 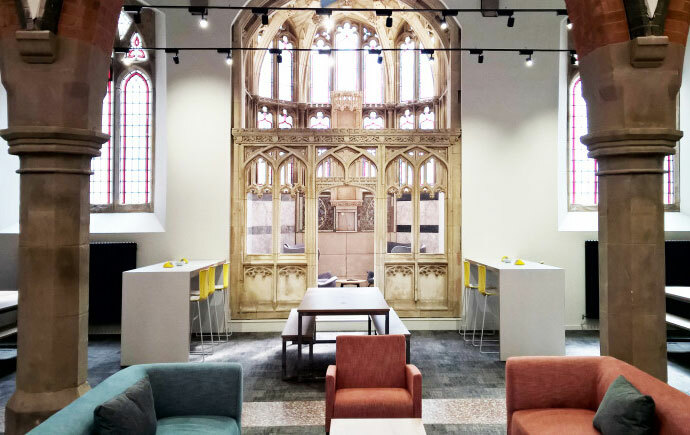 The church has been restored and refurbished by main contractor Bowmer and Kirkland as a communal student facility as part of the overall site proposals which will be home to almost 600 students. 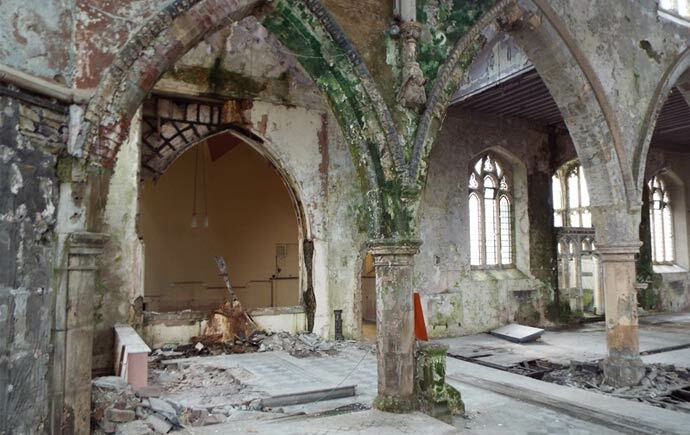 The church has fallen into disrepair since it closed in 1998. John Pedder, of Hadfield Cawkwell Davidson, said: “When we were first approached by UNITE Students to consider designs for a new student community at St Vincent’s Place, nobody in the practice appreciated just how involved HCD has been in the history of the site. The church was home to a Catholic community which mostly settled in the area around the building. The church now features study and music rooms, private cinema, games area, shared dining/kitchen facilities as well as a quiet lounge and flexible presentation/teaching spaces.